We offeR support, expertise & RESULTS! 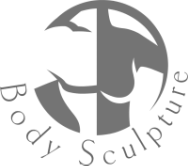 Sculpt your health & fitness with us! Our boutique Fitness & Training studio provides a well-equipped functional training gym and studio, as well as an outdoor training space in the heart of the beautiful countryside. Easily accessible from surrounding villages of Charlton, Aynho, Fritwell, Deddington, Croughton, Kings Sutton, Somerton, Adderbury, Twyford, Brackley as well as the Bicester and Banbury area. As a family run business we offer a truly exceptional and personal service to help you achieve your fitness & health goals.